Paul Gavarni (Hippolyte Guillaume Sulpice Chevalier 1804-1866) was a French illustrator, graphic designer and caricaturist. 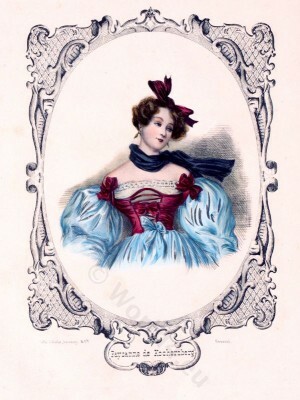 He was one of the masters of 19th Century Lithograph. Peasant woman of Solothurn, Switzerland. 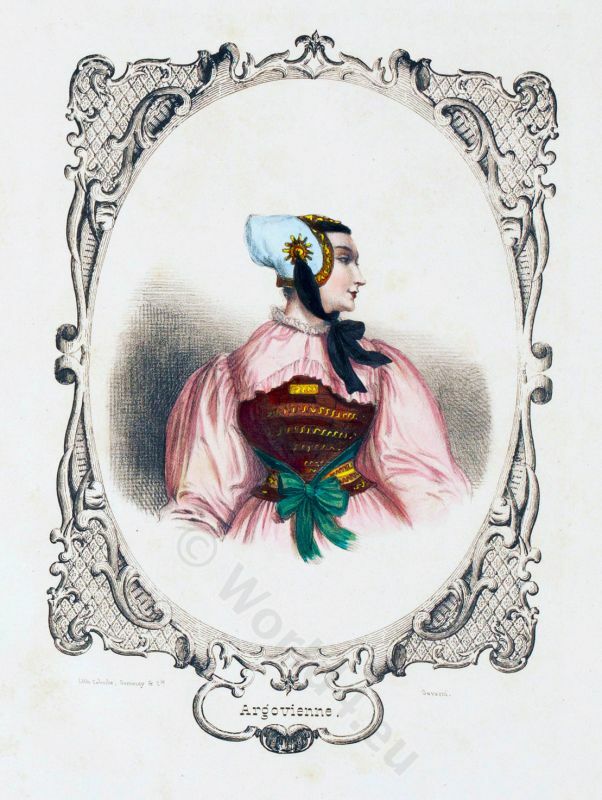 Peasant woman of Solothurn 1840. 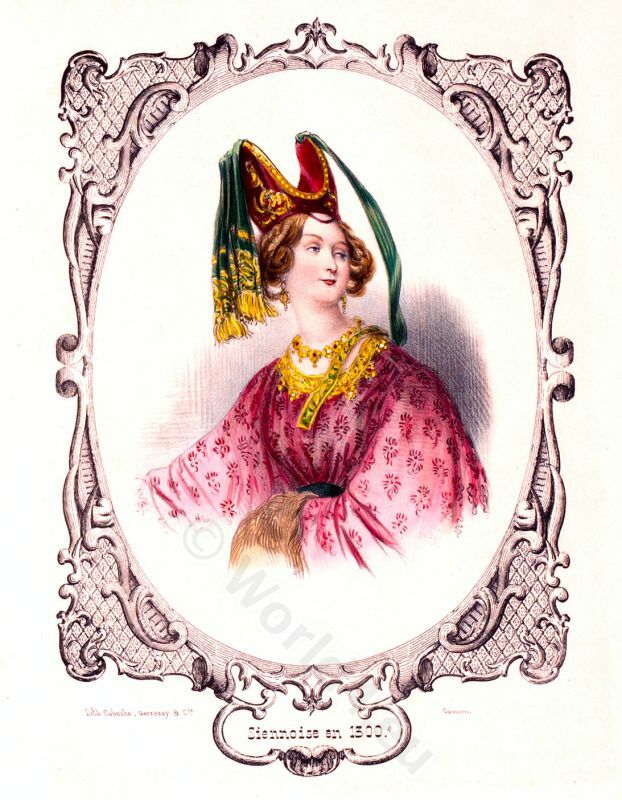 Woman in the costume of Solothurn, Switzerland. 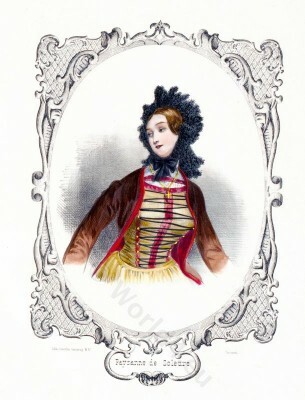 According to an illustration by Paul Gavarni. Associated: The Switzerland national costumes of 17th – 19th century originals. 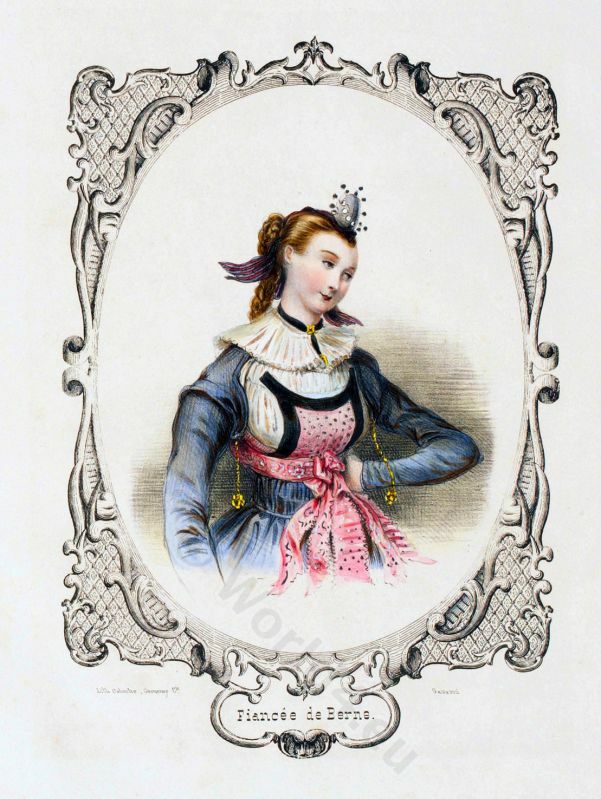 This entry was posted in 1840, 19th Century, Switzerland, Traditional and tagged Canton of Solothurn, Paul Gavarni, Traditional Switzerland costumes on 4/25/13 by world4. Alsace empire costume from Kochersberg in 1840. 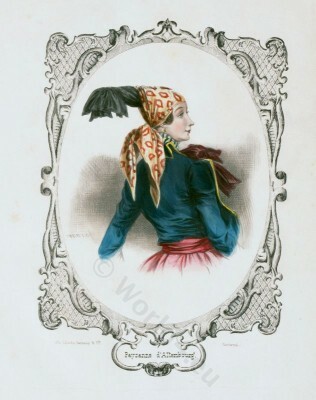 Empire costume of a woman from Kochersberg, Alsace. Associated to: The Switzerland national costumes of 17th – 19th century originals. 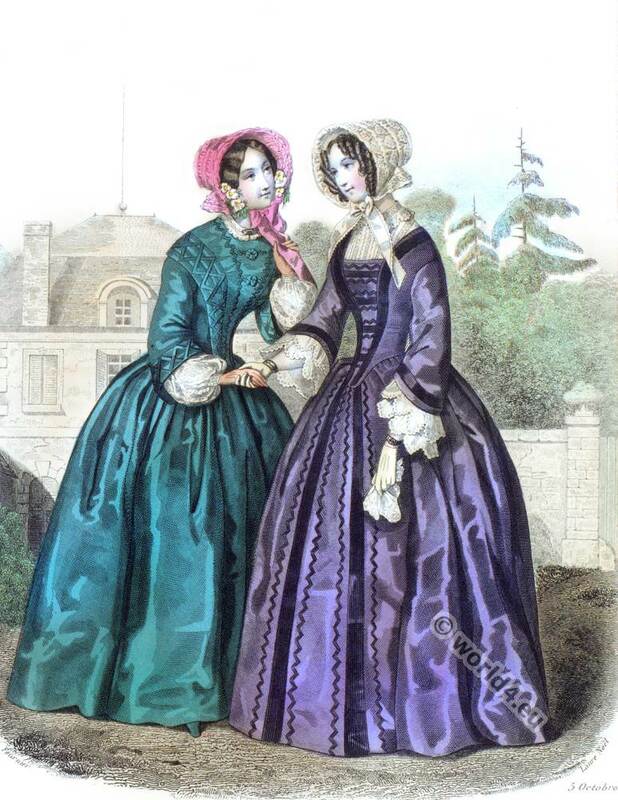 This entry was posted in 1840, 19th Century, France, Restoration and tagged France restoration costumes, Paul Gavarni on 4/22/13 by world4. Woman from Bern in wedding dress, 1850. 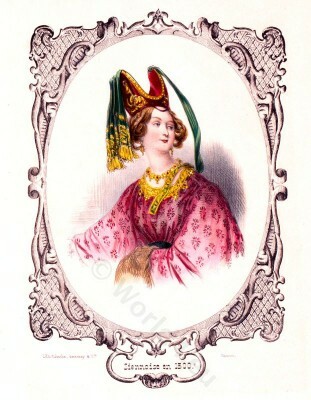 Woman from Bern in wedding dress. 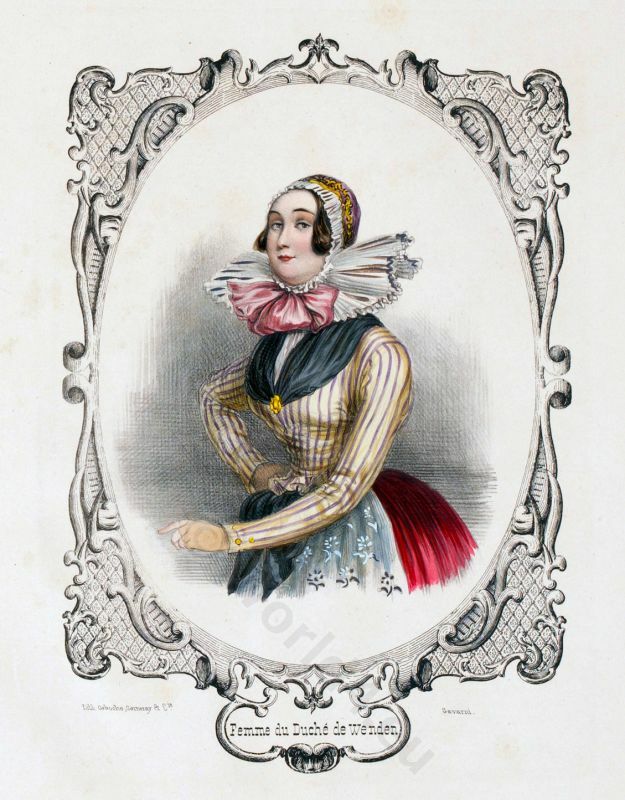 Fiancée de Bernes. 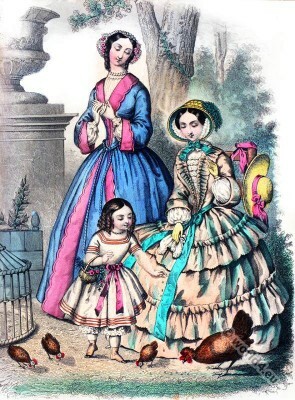 According to an illustration by Paul Gavarni. 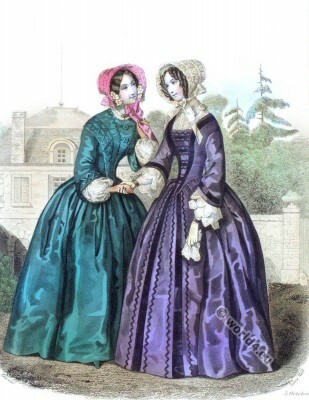 This entry was posted in 1850, 19th Century, Switzerland, Traditional and tagged Canton of Bern, Paul Gavarni, Traditional Switzerland costumes, Wedding dresses on 4/18/13 by world4. 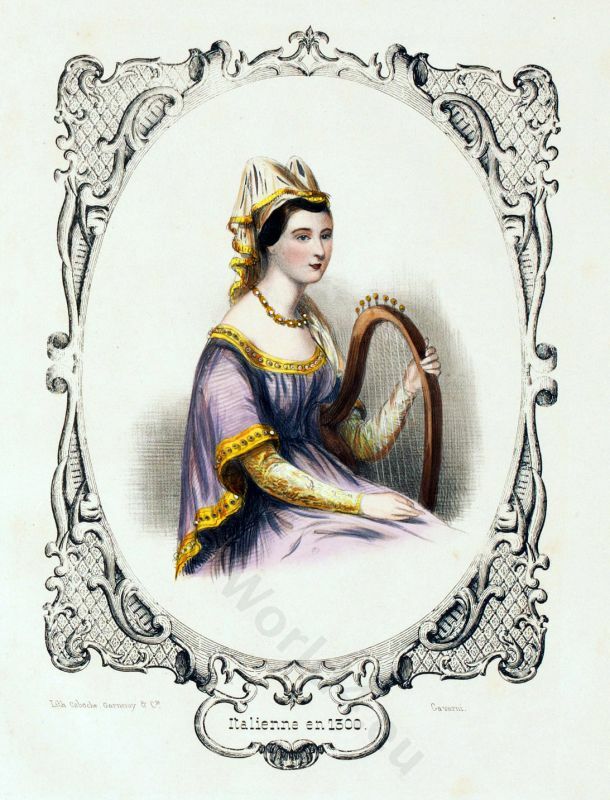 Woman from Aargau, Argovienne Switzerland. 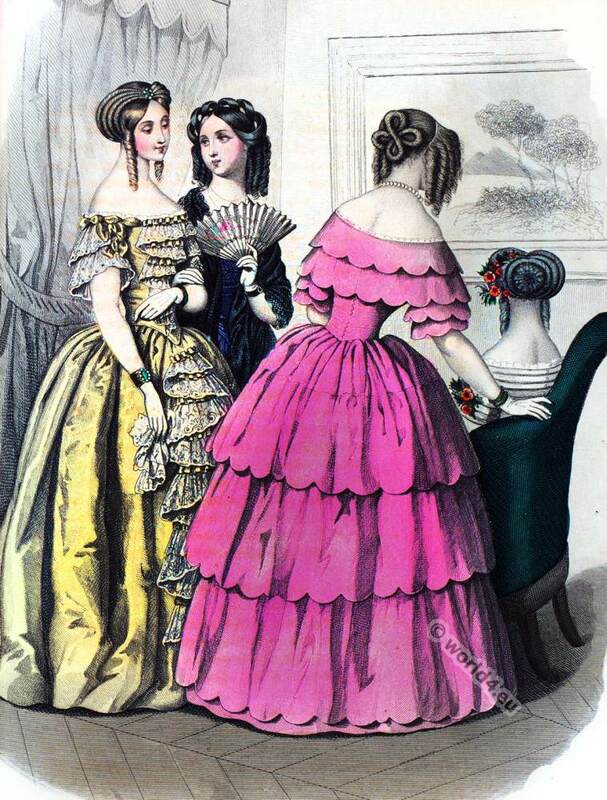 1840. This entry was posted in 19th Century, Switzerland, Traditional and tagged Aargau. Traditional Switzerland clothing., Paul Gavarni, Traditional Switzerland costumes on 4/18/13 by world4. 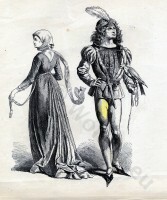 English and French burgundy fashion in the 15th Century. 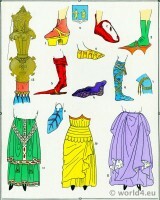 Middle ages shoe design. 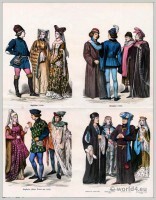 10th to 15th century fashion history. Gothic period fashion. Italian noblewoman. 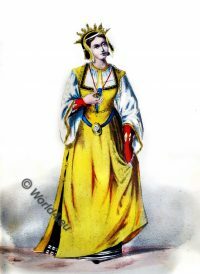 This entry was posted in 13th Century, Burgundian dress, Court dress, Italy, Middle Ages, Nobility and tagged Burgundian fashion period, Cotehardie, Gothic costumes, Hennin, Medieval costume, Paul Gavarni on 3/31/13 by world4.